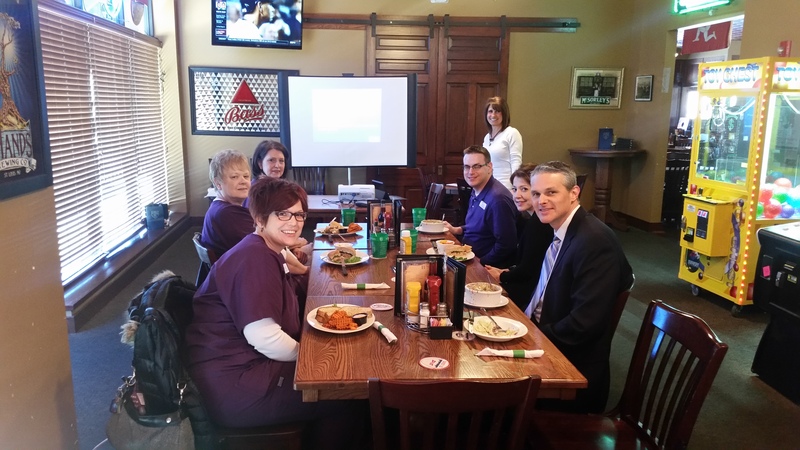 We had a great lunch & learn today with our consultant RoseAnn from TLC Laser Eye Center. As an Affiliated Optometrist, we use a team-based partnership with TLC because of a strong track record of safety, experience and patient satisfaction. If you have ever thought of having laser eye surgery, we can help you see if you are a candidate. TLC is hosting a FREE patient seminar on April 2nd! Give us a call for the details. This entry was tagged Laser Eye Center, laser eye surgery, LASIK, Lasik consultataion, PRK.